Fall is a great time of year! Temperatures cool down (albeit, not much here in Southeast Texas) and the holidays are just around the corner. 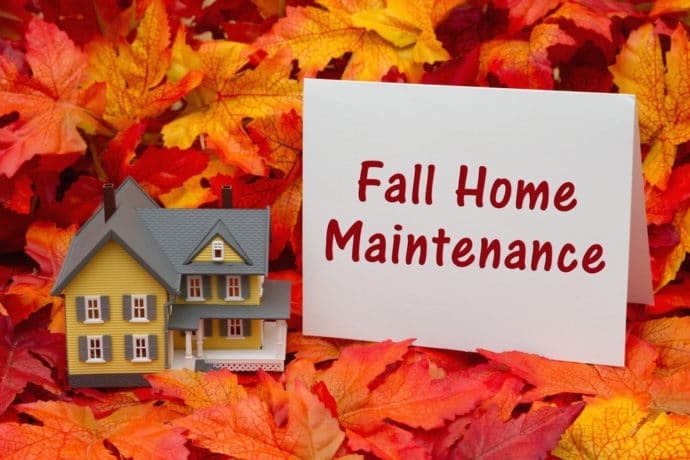 It’s also a good idea to take some time and prepare your home for winter and in addition perform some general home maintenance. By spending a little time and effort on preventative maintenance, you can help prevent large, costly fixes in the future. Here are a few things to add to your autumn to-do list to keep your home in tip-top shape. Check that water is flowing and draining appropriately during rainstorms and not pooling, also clean gutters and downspouts regularly to prevent leaf buildup. Inspect and repair any loose, damaged or cracked window and door frames. Check weather stripping and caulking around doors, windows and garage doors and repair as needed. This can help avoid any draft in your home as the temperature cools down and save you money on your heating/cooling bill. Hire an HVAC professional to perform a system checkup for optimal performance and to fix any minor problems before they turn into major, costly ones. Have your chimney inspected for any blockages and cleaned, if needed. Verify that your damper is functioning correctly. Check your attic and basement for signs of birds and rodents and install screens to prevent unwanted guests. Fertilize and reseed your lawn and apply weed preventative. This is the optimal time of year to prepare your lawn for spring and ensure beautiful green grass. Prune back trees and shrubs to encourage healthy growth next spring. Trim any tree limbs that are close to power lines or the roof of your home. Inspect your roof and repair any loose shingles. Your roof is your home’s main defense from rain which can wreak havoc on your home’s insulation, electrical, plumbing and HVAC systems. Change your home’s air filters. This really should be done monthly for optimal performance and can save you money by properly maintaining your home’s optimal temperature. Can’t remember to do this? Add a reminder on your phone! Change batteries in smoke and carbon monoxide detectors. This doesn’t necessarily have to be done in the fall. It is an easy task to knock out since you’re already checking everything else. Eastex wants to help you save money any way we can, contact us for more home advice and money saving tips!